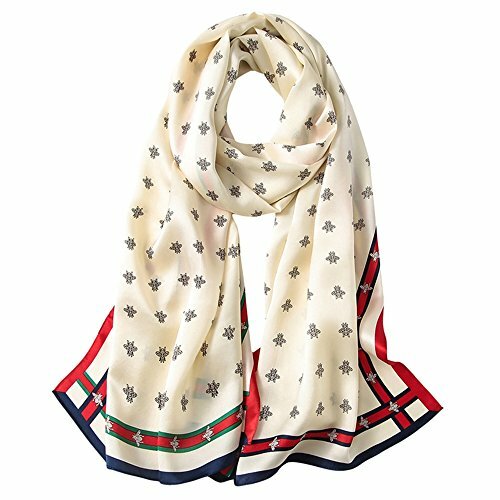 MATERIAL: 100% Mulberry silk, the natural protein fiber elegant smooth, thin as cicada's wings, gently and breathable, feel soft, smooth, moisture permeability.SIZE: 70.8"Lx35.4"W. Lightweight scarf that could keep you warm. The fashion oversized scarf shawl is a perfect finishing touch to almost any outfit. IDEAL OCCASION: Attend a party, or family travel, or go to work suitable for you in different occasions to wear. Can be worn around your neck, head, waist, or hair as well as on a hat or handbag, etc. a woman real scarf, make raise one's hand is cast sufficient between more match a woman's charm.NOTICE: Please allow little color difference due to different camera or light environment. Qiyunxing Scarf Shawl We are more focused so we are better。 We are committed to creating scarves with vivid fashion and unique style, which are doom to be a way of showing your unique taste. Made in China As is known to all, Chinese silk is world famous. Material: 100% natural silk Smooth and soft, light weight, excellent air permeability. Size: 78* 40inches/ 180cm * 90cm The moderate length does not affect your own costume. Perfect decorations. Process: Advanced dyeing process. 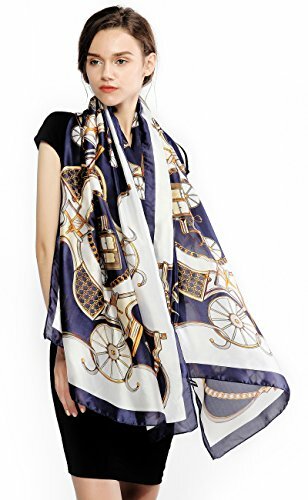 The printing is clear and the color will not fall off Multipurpose: A headscarf package, a scarf, a shawl, as a beach skirt Washing instructions: Gently wash with neutral detergent or dry cleaning below 30℃.Click on the blue word "Qiyunxing" above to find more scarves. MATERIAL: Made of high quality material, stretchable, durable and stylish, friendly to skin and not fade off. PRODUCT DESCRIPTION: Zando caps are soft, gentle and do not make you feel too tight or headache or other discomfort. You can wear for sleep. 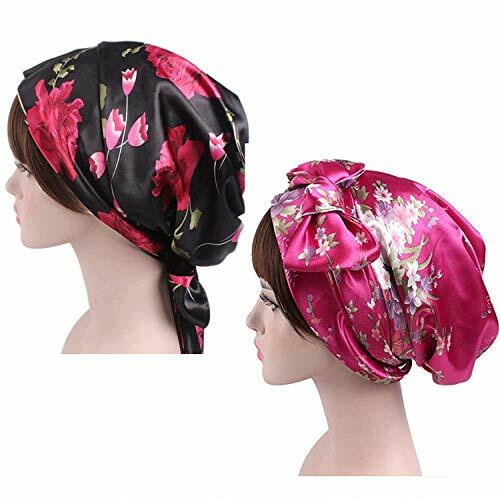 Zando soft material makes this women head scarf easy to operate. 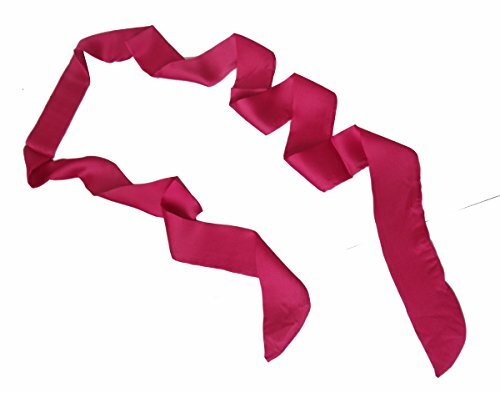 It can be tied into beautiful bowknot, put on the left/right side of the neck. Allow you to express your own unique sense of creativity and style, retaining an attractive and subtle feminine charm. Zando fashion head scarves are beautiful with lots of pretty printings. Multiple colors to choose, all fashion and beautiful. Suitable for all seasons and occasions. SHIPPING TIME: Standard Shipping: 7-15 business days after shipped. Expedited Shipping: 3-5 business days after shipped. NOTICE: 1. Please do understand due to manual measurement may have inevitable deviations. 2. As different computers display colors differently, the color of the actual item may vary slightly from the above images, thanks for your understanding. 3. If you have any questions or need further assistance, please contact us via E-mail. Stays on all night, so you wake up all right! Smooth and soft! Gently stays in place! Prevents breakage and protects your hair better than any ordinary bonnet! 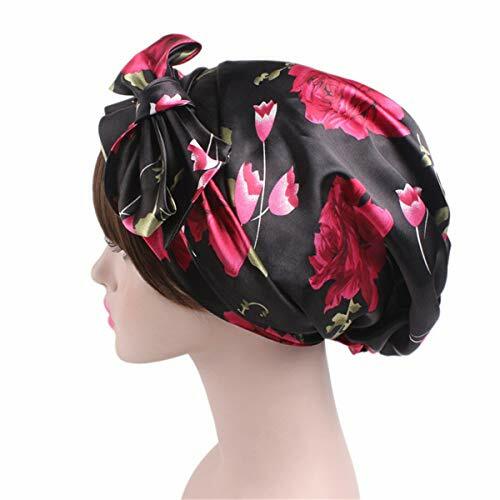 Our Satin Bonnets are great for protecting your hair at night and to help maintain your hair style. Protecting your hair at night with a Satin Bonnet keeps the moisture in your hair and keeps your hair from drying out due to a cotton pillow case. The Satin will not snag your hair, cause breakage, or produce lint. 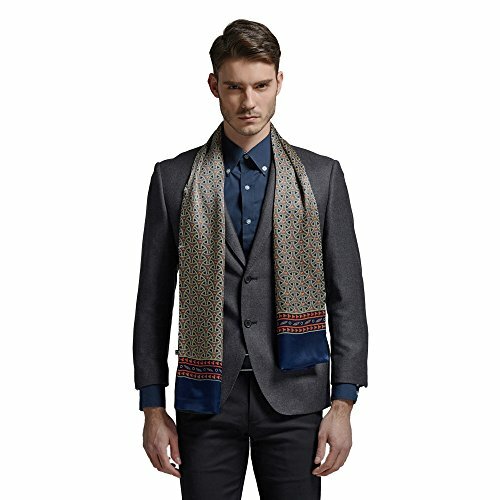 We strive to offer you the best scarves and service possible. With years of testing, we choose charmeuse silk whose smooth surface can best represent the richness in color of the original art pieces and use high quality and eco-friendly dyes to create vibrant and saturated prints instead of using low quality dyes, hope you can enjoy it. 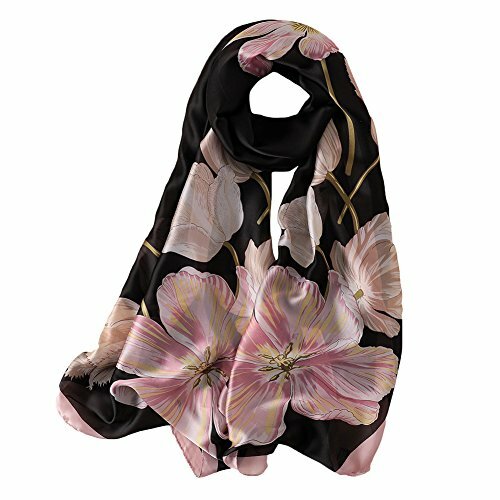 Looking for more Satin Silk Long Scarf similar ideas? Try to explore these searches: 90 Enteric Coated Capsules, Iowa Hawkeyes Golf Headcover, and Indoor Flower. Look at latest related video about Satin Silk Long Scarf. Shopwizion.com is the smartest way for online shopping: compare prices of leading online shops for best deals around the web. 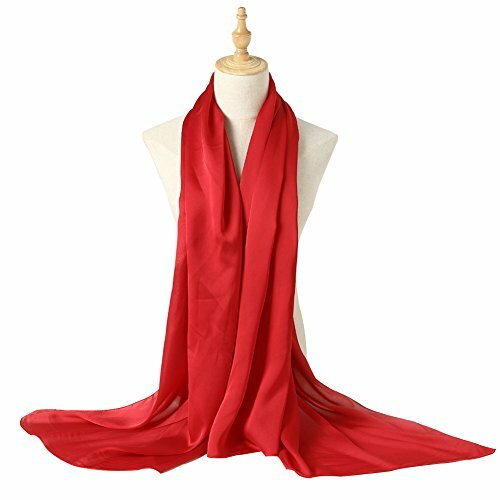 Don't miss TOP Satin Silk Long Scarf deals, updated daily.